Just as we must act on Scripture’s instruction to forgive, we should also consider the great cost of failing to do so. 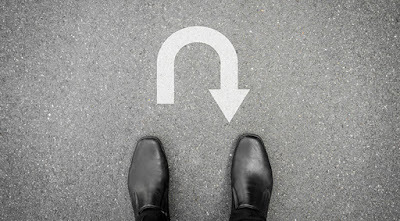 Withholding forgiveness brings on bitterness, which Neal T. Anderson says is like “battery acid in the soul.” It leads to anger, resentment, depression, health problems, isolation, struggles with addictions, and more. It continues to haunt the person until he or she comes to terms with it. People who hang on to bitterness cause more pain to themselves than to the targets of their wrath. A second cost is equally distressing. Jesus told a parable of an unmerciful servant who, after his master forgave him a large debt, demanded payment of a small debt from another servant. The master had the first servant thrown into jail and tortured. “This is how my heavenly Father will treat each of you,” Jesus said, “unless you forgive your brother from your heart” (Matthew 18:35). For couples who want to follow God’s way for marriage and who hope for His best in their relationship, forgiveness is not just a suggestion. It is a spiritual commandment! Why is failing to forgive more damaging to us than to the one who wronged us? Are either of us bitter about something today? Why? What steps of forgiveness can we take together? How can we avoid bitterness in the future? Dear Lord, You have spoken plainly about the consequences of withholding forgiveness. Help us to hear You and obey. May we please You and bless each other with our quickness to forgive at all times. Amen. 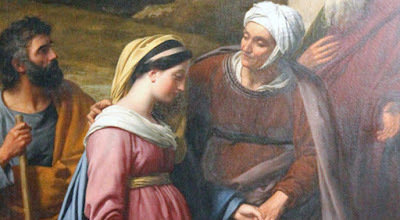 Now I would remind you, brothers and sisters, of the good news that I proclaimed to you, which you in turn received, in which also you stand, through which also you are being saved, if you hold firmly to the message that I proclaimed to you-- unless you have come to believe in vain. 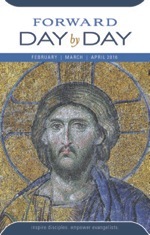 For I handed on to you as of first importance what I in turn had received: that Christ died for our sins in accordance with the scriptures, and that he was buried, and that he was raised on the third day in accordance with the scriptures, and that he appeared to Cephas, then to the twelve. Then he appeared to more than five hundred brothers and sisters at one time, most of whom are still alive, though some have died. Then he appeared to James, then to all the apostles. Last of all, as to one untimely born, he appeared also to me. For I am the least of the apostles, unfit to be called an apostle, because I persecuted the church of God. But by the grace of God I am what I am, and his grace toward me has not been in vain. On the contrary, I worked harder than any of them-- though it was not I, but the grace of God that is with me. Whether then it was I or they, so we proclaim and so you have come to believe. 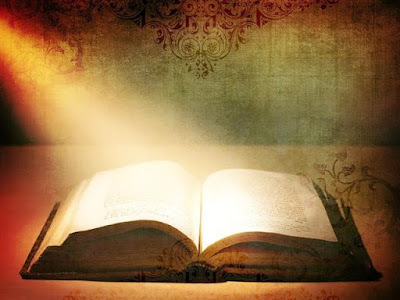 He came to his hometown and began to teach the people in their synagogue, so that they were astounded and said, "Where did this man get this wisdom and these deeds of power? Is not this the carpenter's son? Is not his mother called Mary? And are not his brothers James and Joseph and Simon and Judas? And are not all his sisters with us? Where then did this man get all this?" And they took offense at him. But Jesus said to them, "Prophets are not without honor except in their own country and in their own house." And he did not do many deeds of power there, because of their unbelief. What is God doing in the places where we live? God is always at work trying to bring about the kingdom, God’s reign on earth. We pray “Thy kingdom come...” over and over again. How is God trying to accomplish this in you—in your family, your congregation, your community, your state, your nation? Do we, like James, recognize the movement of God even if it offends some norm that we find fundamental? Today we celebrate James, the brother of Jesus. Let us strive to be like him in recognizing when God is at work beyond our zones of comfort. Let us, like him, help that work to flourish. RESPONSE: Today I will trust the Lord for wisdom and words to answer those who challenge my faith. PRAYER: Lord, give me grace to answer all challenges against You and Your Word with Your love and wisdom. 1. Helen Berhane, Song of the Nightingale, (Colorado Springs: Authentic Media, 2009), p. 72-73. Many of us check off neatly penciled boxes. Some draw lines through the tasks we’ve finished. A select few of us even add things to our lists after we’ve done something that wasn’t on our list … so we can mark it off! (I may or may not do this…) Some of us keep track in our heads, while others track progress of daily goals on paper, on a computer, or on an app. I just love to check boxes. I think it’s because I sincerely want to be a productive person. I want to feel like I’m accomplishing something. It's pretty much a daily struggle for me. As an optimist, I wake up anticipating that the seconds, minutes, and hours of each day will bend to cooperate with the demands of my list. And …it never works out that simply or efficiently. You struggle with this too, right? Most of us feel frustrated and at times, overwhelmed by the abyss of a rarely satisfied to-do list. It’s exhausting. We face constant demands that call to us and vie for our attention. We sift through the essentials and the fire drills, then we go to bed, wake up, and do it all again. “She sets about her work vigorously; her arms are strong for her tasks” (Proverbs 31:17, NIV). 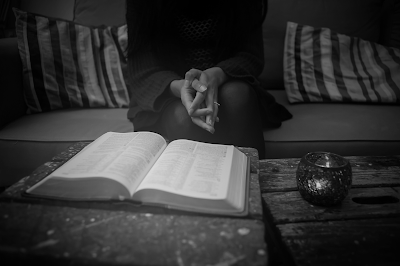 Though this is an impressive statement about her work ethic, and though it seems this fictional woman dominates her daily to-do list, it’s important that we consider the source of her strength: God. At the end of the chapter, Scripture shows us that she “...fears the Lord...” (Proverbs 31:30, NIV). This means that she lives in awe of God. That she worships and prioritizes Him above all else. That the source of her strength is rooted in her dependence on and reverence of God. Your list looks different from mine. We have unique goals, friendships, jobs, responsibilities, and families. Whether you are in the work force, unemployed, or retired … or a stay-at-home mom, a single mom, or an empty nester … a wife, a widow, single, or divorced, God can and will give you the strength and guidance you need when you prioritize and revere Him. God will strengthen our arms for the tasks of today when we prioritize Him above the list. Let’s go to Him now and ask for direction, wisdom, renewal, and strength. Dear Lord, Please forgive me when I rush into a day without calling on You for my strength. I need you, Lord. Please prioritize my heart and my list today. How closely do you relate to the above verse? What steps need to be taken in your life to move toward a deeper dependence on God’s strength verses your own? Are you willing to go there? Take a moment to talk to God about it. The Bible tells us that God is able to do above and beyond what we can ask or imagine. So why do we rarely pause to dream big dreams, think big thoughts, or expect God to do great things through us? 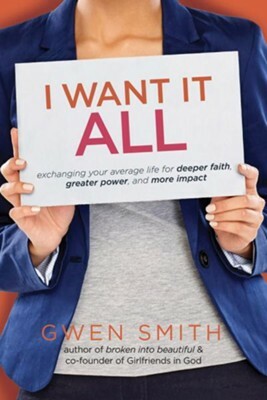 Gwen Smith’s new book, I Want It ALL, will ignite a fire in your heart to experience more faith, more power, and more impact. More of Jesus. All of Jesus. Everything that God has for you. Order yours today from Amazon, or your favorite retailer. For a signed copy, click here to order yours from Gwen’s web store. Me gusta mucho que fuera el mismo Dios el que estableciera la ley y que dijera que la hizo para que no se quebrantara. Algo que Dios rechaza es la forma en que algunos fariseos, como se narra en la Biblia, cumplían la ley, pues lo hacían con fingimientos o la desobedecían en su interior. Dios dice que su Palabra se cumplirá en su totalidad. También dice que debemos cumplir la ley y enseñarla, para que de ese modo nos consideren grandes «en el reino de los cielos» (Mateo 5:19). Por eso, no tratemos de hacer una nueva ley para nuestra conveniencia. La manutención de los hijos: Es la ley de Dios y del hombre. No se toma mientras se maneja: Es la ley de Dios y del hombre. Se multa a quien no use el cinturón de seguridad: Es la ley de Dios y del hombre. Todas estas cosas son algunas de las leyes establecidas que no cumple un gran por ciento de la humanidad. La ecuación es sencilla: Obediencia=Bendición. This kind of change can begin with just one choice, empowered by the Holy Spirit (Rom. 8:13). It might mean saying no at a critical moment. No more gossip. No more greed. No more jealousy. No more ___________. (You fill in the blank.) If you know Jesus, you’re not a slave to sin. You can choose to change, and with God’s help, this personal revolution can start today. Dear God, all things are possible with You. Through the power of Jesus’s resurrection help me to take the first step toward a life of greater devotion to You. Mein Sohn hatte sich einen kleinen Roboter gekauft und programmierte ihn begeistert, damit er vorwärts laufen, anhalten und zurückgehen konnte. Er konnte ihn auch dazu bringen, zu piepen und Geräusche wiederzugeben, die er vorher aufgenommen hatte. Der Roboter tat genau das, was mein Sohn ihm befahl. Aber er lachte nie spontan drauflos oder lief einfach davon. Er konnte nicht frei entscheiden. Gott schuf die Menschen nicht als Roboter, sondern als sein Ebenbild und das bedeutet, dass wir denken, überlegen und Entscheidungen treffen können. Wir können wählen zwischen richtig und falsch. Und selbst, wenn wir es uns zur Gewohnheit gemacht haben, Gott nicht zu folgen, können wir es uns immer noch anders überlegen. Als die Israeliten Probleme hatten, sprach Gott zu ihnen durch den Propheten Hesekiel: „Kehrt um und kehrt euch ab von allen euren Übertretungen, damit ihr nicht durch sie in Schuld fallt . . . Macht euch ein neues Herz und einen neuen Geist“ (Hes. 18,30-31). Eine solche Umkehr kann mit einer einzigen Entscheidung beginnen (Röm. 8,13), dass wir zum Beispiel im kritischen Moment Nein sagen. Nein zu Klatsch und Tratsch. Nein zur Gier. Nein zur Eifersucht. Nein zu ________________ (bitte ausfüllen). Wenn du Jesus kennst, bist du kein Sklave der Sünde. Du kannst dich ändern, wenn du willst, und das kann, mit Gottes Hilfe, heute beginnen. Lieber Herr, bei dir sind alle Dinge möglich. Hilf mir durch die Kraft Jesu, heute den ersten Schritt zu einem Leben noch größerer Hingabe zu tun. Für einen neuen Anfang bitte Gott um ein neues Herz. Моему сыну подарили маленького робота, и он с увлечением занялся его программированием. Робот двигался по заданной траектории, останавливался, возвращался назад. Кроме того, он умел издавать разные сигналы и повторять записанные звуки. Но при этом он делал только то, на что был запрограммирован. Он не мог издавать случайные звуки или пойти куда вздумается. Роботы не могут выбирать. Создавая людей, Бог сотворил их по Своему образу и подобию. Это значит, что мы можем думать и принимать решения. Мы способны выбирать между добром и злом. И даже если непослушание Богу вошло у нас в привычку, мы можем перенаправить свою жизнь в новое русло. Когда древние израильтяне окончательно отвернулись от Бога, Он послал к ним пророка Иезекииля, который объявил: «Покайтесь и обратитесь от всех преступлений ваших, чтобы нечестие не было вам преткновением... Сотворите себе новое сердце и новый дух. И зачем вам умирать, дом Израилев?» (Иез. 18:30-31). Подобная перемена может начаться с единственного решения, вдохновленного Святым Духом (Рим. 8:13). Отказаться от сплетен. Перестать жадничать. Больше не ___________________ (заполните этот пробел сами). Если вы знаете Иисуса Христа, то вы больше не раб греха. С Божьей помощью эта личная революция может начаться прямо сегодня. Боже, все возможно Тебе. Силой воскресения Христа помоги мне сделать первый шаг навстречу жизни большего посвящения Тебе. Чтобы начать все заново, попросите у Бога новое сердце. S’étant procuré un petit robot, mon fils s’est amusé à le programmer de manière à lui faire accomplir des tâches simples : le faire avancer, s’arrêter et revenir sur ses pas. Il pouvait même lui faire émettre des bips et produire des bruits enregistrés. Le robot faisait exactement ce que mon fils lui commandait. Il n’éclatait jamais de rire ni ne changeait de direction à l’improviste. Il n’avait pas le choix d’obéir. Lorsque les Israélites de l’Antiquité se sont attiré des ennuis auprès de Dieu, celui‑ci leur a parlé par l’intermédiaire du prophète Ézéchiel : « Revenez et détournez‑vous de toutes vos transgressions, afin que l’iniquité ne cause pas votre ruine. […] [Faites]‑vous un coeur nouveau et un esprit nouveau » (ÉZ 18.30,31). Ce type de changement ne peut s’amorcer que par un choix, inspiré de l’Esprit (RO 8.13). P. ex. : dire non à un moment décisif, se fermer aux cancans, se refuser à l’avarice, à la jalousie ou à ___ (remplissez l’espace vide). Si vous connaissez Jésus, vous n’êtes plus esclave du péché, et donc libre de choisir de changer dès aujourd’hui. Pour connaître un nouveau départ, demandez à Dieu un nouveau coeur.